Source Control also known as Revision control or source code management (SCM) is the management of multiple revisions of the same unit of information. Source Control is most commonly used in software development to manage ongoing development of documents like application source code or design documents or any electronic information which is worked on by a team of people. There are a lot of revision control software out there, the notable ones being CVS, ClearCase and Subversion. The following wikipedia page gives a complete list of the revision control software including detailed information on each of them. Eclipse is fast becoming the default IDE among developers (Thanks to the extensible architecture of the platform). Following is the list of Eclipse Plugins for some of the popular Source Control software. 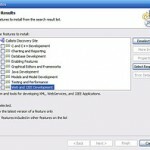 CVS Eclipse has built-in support for CVS; Switch to “CVS Repository Exploring” perspective to use CVS from within Eclipse. Following links might help you to get started on using CVS. I have used this plugin extensively and it integrates nicely into Eclipse. There is a top level menu via which a host of functions can be accessed. Subversion One of the goals of Subversion is to come up with a source control system which will be a replacement to the popular CVS. Dennis and Frasier pointed me to Subversive project which aims to provide SVN support for Eclipse. MS Visual Sourcesafe Not sure how many companies are still using VSS for source control.VSS plugin for Eclipse which is a Sourceforge project should help you integrate VSS within Eclipse IDE. I had last used this plugin with Eclipse 3.1 and I am not sure if there any any API changes in Eclipse 3.2 which affects this team plugin. 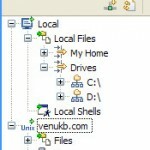 NewUni confirmed that it does work well with Eclipse 3.2 as well. Perforce Perforce is the SCM internally used in Google. I never had the opportunity to work with this SCM.Perforce official site has provided with the plugins to support integration of their CVS from within Eclipse. It works with Eclipse 3.2.x. Subversive is much better than Subclipse for SVN in Eclipse. And also it’s going to be transferred to eclipse.org for incubating – that’s great! Newuni, I have updated the post accordingly. Thanks for confirming. Dennis,Crane: wasn’t even aware of the project. Thanks for the pointer. I have updated the post accordingly. How ’bout a perforce plug-in? Well, surprising as it might sound, but I just failed to find a decent P4 plug-in for Eclipse! 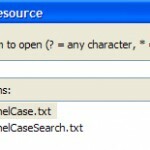 Perforce itself does provide one, but its so goddamn naive thats its unbelievable that they actually released it..
Clearcase (scarecase) is the worse version control software on the planet. I used it for a year or so and won’t fix any company’s software that uses it. It took three hours to check in 10 files and makes Eclipse unstable. The Perl scripts it uses conflicts with Norton AV and it doesn’t see changes inside brackets (regex problems)? Causes insanity! CVS works every time and is free.